As the 33rd annual International Dance Music Awards (IDMAs) took place at Miami Beach’s Faena District, artists and industry professionals alike gathered to celebrate the wonderful accomplishments of our peers. The awards ceremony continued straight into afterparty festivities, where a few very special guests played sets for an intimate crowd at the beautiful Faena Theater. 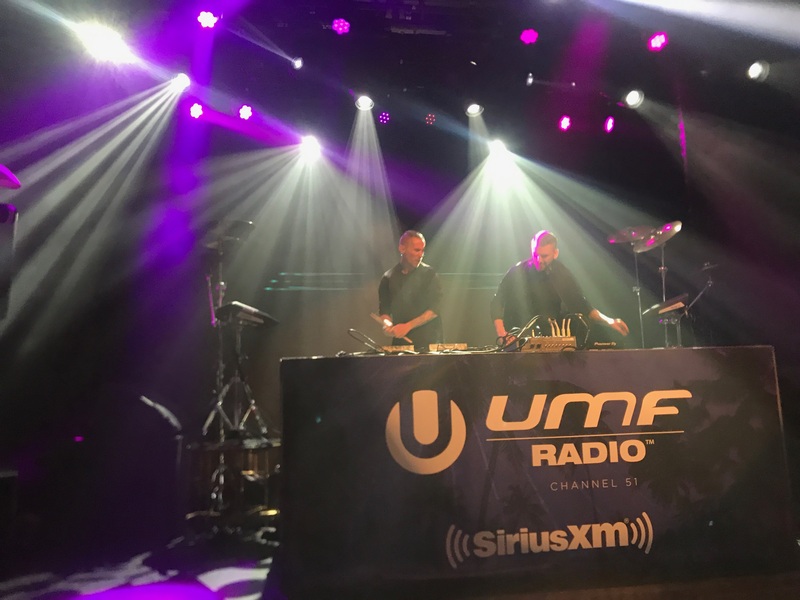 Broadcast live from the IDMA after party on SiriusXM’s UMF Radio, fans at home could also have a chance to jam along with us and some of their favorite artists. The Faena Theater backdrop was an incredible setting for such a private affair, allowing guests to fully immerse themselves in the music directly in front of them. The lavish decor and small space created the perfect setting for the party, establishing it as a one of a kind experience. After all, it’s not every day that you get a private show from artists like Diplo, Illenium or Galantis. Another outstanding showcase came from Swedish duo Galantis, who kicked things up a few notches with classics like “Peanut Butter Jelly,” “Spaceship” featuring Uffie, “No Money,” “Love On Me” with Hook N Sling, and “Runaway (U & I).” Their live performance complete with drums, keys and all have set the pair apart for a long time. Again, to experience this up close where you can watch them do their thing on live instruments is unlike anything else. GG Magree, Diplo x Anna Lunoe, and MK were also special guests at the soiree, spinning more hit tracks as the after party continued on into the night. Unforgettable to say the least, but we are very confident in saying this string of performances was easily one of the biggest highlights of this year’s Miami Music Week.